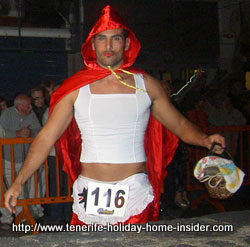 Are Tenerife Carnival costumes for more than disguise? 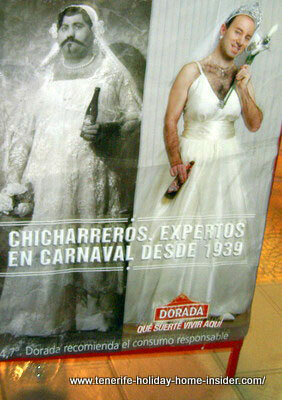 Why are Tenerife Carnival costumes of special interest during the gay parade Puerto de la Cruz? Reason being is that they are more than outstanding like the highly artistic butter fly wings by Victoria Cruz Torres that you see beside. Indeed, carnival attire is much more than disguise. It's a personal and a fashion statement quite often. The town Puerto Cruz is the oldest Tenerife resort, where culture, art, fashion and design have been town essentials for a long time. Of course, talented people from outside also join in. 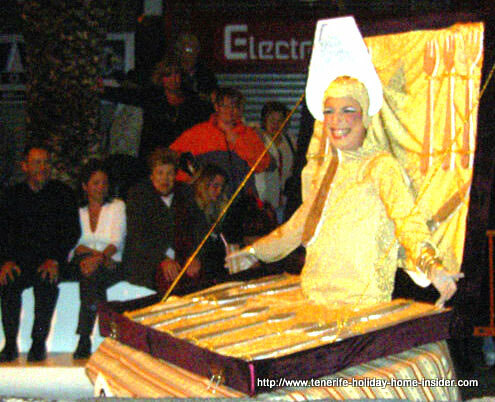 What an event to show off their designs of carnival dress ideas during a gay procession. 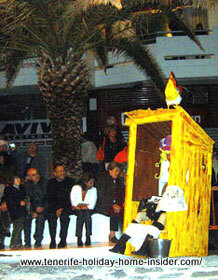 Where buy Carnival costumes in Tenerife? Some are displayed for sale outside the shop Gallardo corner the Longuera by Monturio Road Los Realejos. 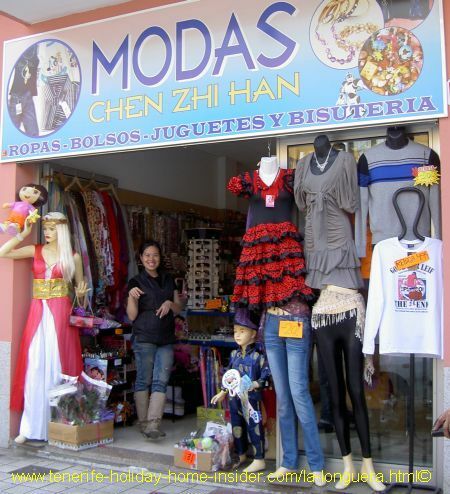 A Chinese owned clothes store about four houses further on also sells carnival stuff, as the photo shows. The Lidl chain supermarket Puerto de la Cruz, which opened its doors in February 2010 had cheap Carnival gear in its catalogue for inauguration day. Unfortunately, the link is not intact any more. I will keep you posted when costumes by Lidl are available again. 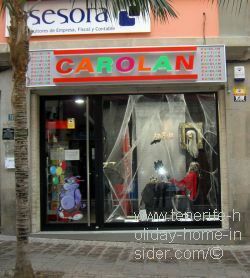 Of course, you can Buy scary outfits for carnival online or get them at the shop at downtown Santa Cruz de Tenerife that is depicted beside. 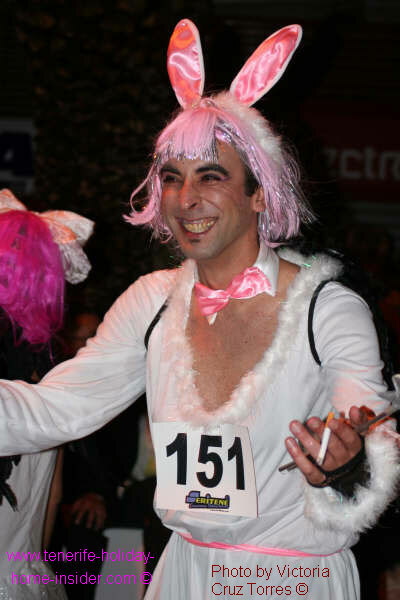 Want to know about the gay Mens' marathon 'Ponte-talon' ? 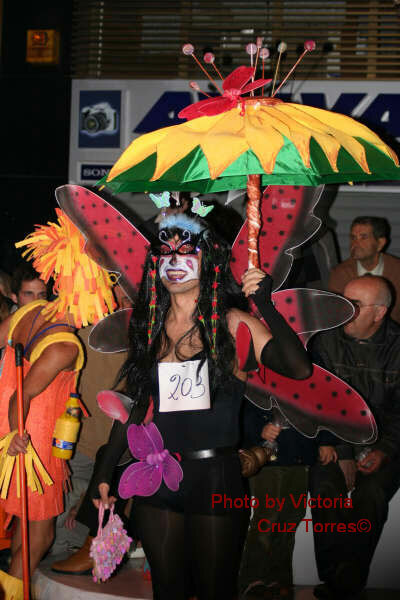 Go from carnival costumes back to gay parade Tenerife Puerto Cruz with most fantastic disguise gear. 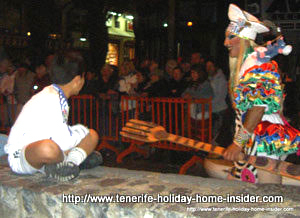 Alternatively, return to the main Tenerife carnival information which is being updated yearly.